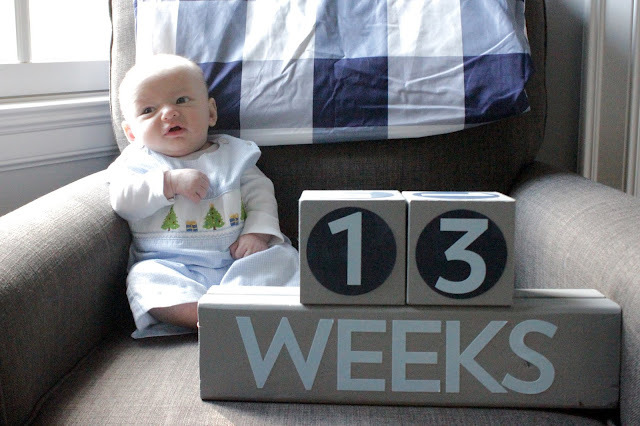 Today, I was originally planning on doing Bennett's 3 month update, since he turned 3 months on Saturday! But, it seems that poor buddy caught whatever gross junk I had last week and is NOT feeling well today at all. So we will have to take his 3 month pics and share a 3 month update some other time when he is feeling better! In the meantime, here's a look at our week before Thanksgiving! We had a hemoglobin check for Bennett! His hemoglobin is slowly but surely starting to rise, so I am waiting to see what the hematologist thinks our next step should be. We may be able to wait another month before we check his hemoglobin again! At the doctor's office, Ella was reading this book, and one of the dogs in it was named Ella! She was so excited! After the doctor, we met Ella's friend Ellie at Chick Fil-A for lunch! Soccer with my little diva again! Oh Lucas. I will miss these mornings of herding cats watching him "play" soccer!!! I think he has just one more week left! The kids wore their Rameses shirts that day...it was one of the only games UNC won all season, so maybe we brought them some luck?! Ella also had a soccer-themed birthday party that afternoon! And then we went straight to my haircut! Bennett was bored with it, obvi. Saturday night, we went to my friend Sarah's event for the Independence Fund. Ella was so excited about her blue cotton candy! And Lucas was excited about his balloon turtle! We also got to meet Sir Purr! Lucas was ecstatic...he is still talking about it! ....and hanging out under the Christmas tree! We decided to make the always eventful/psycho trip to Trader Joe's before Thanksgiving! It took me 15 minutes just to find a parking spot, so that was fun. We also had to take my car in for an oil change. We go to the place right up the street, so we can walk home, take naps, and then walk back up there after naps! We also *started* decorating Bennett's tree! We didn't finish, because we had to go to another tree lighting; this time at the Panthers' stadium! We finished decorating Bennett's Christmas tree! We also set up our family room tree! And did a little prep for Thanksgiving the next day! Ella made everyone's place cards! I'll be back to share our Thanksgiving and this past weekend in another post!! !